The poster shows an image of a child covering their ears and cringing. The text above and below the image reads "Difficult kid? 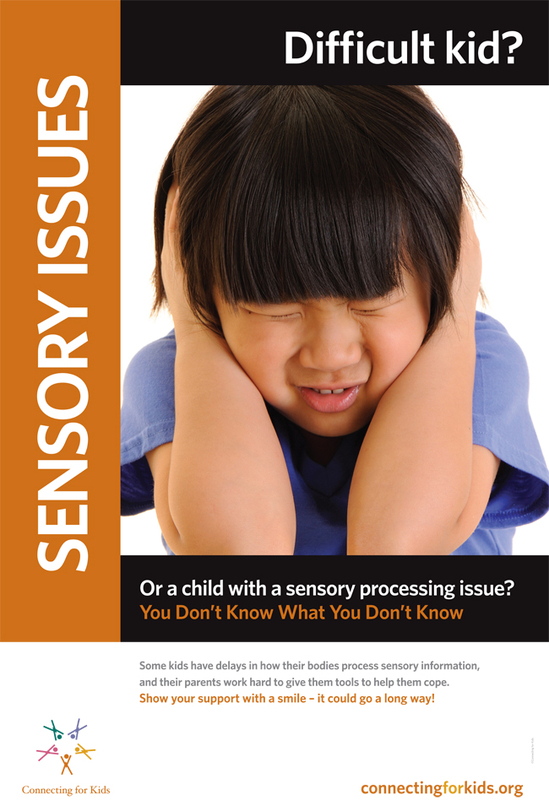 Or a child with a sensory processing issue? You don't know what you don't know." Immediately below the main image and text is a short passage explaining the poster. It reads: "Some kids have delays in how their bodies process sensory information, and their parents work hard to give them tools to help them cope. Show your support with a smile - it could go a long way!"